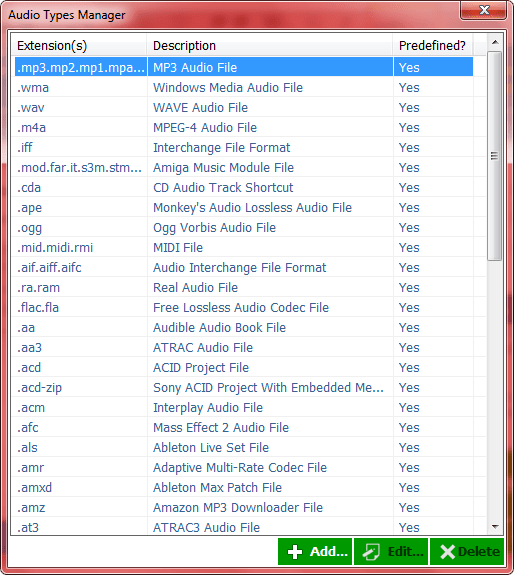 If I tell you that you can do what you want to deal with all types of MP3 duplicated almost in your computer, how would you react? That is not legend, it’s a versatile software to remove duplicate songs. 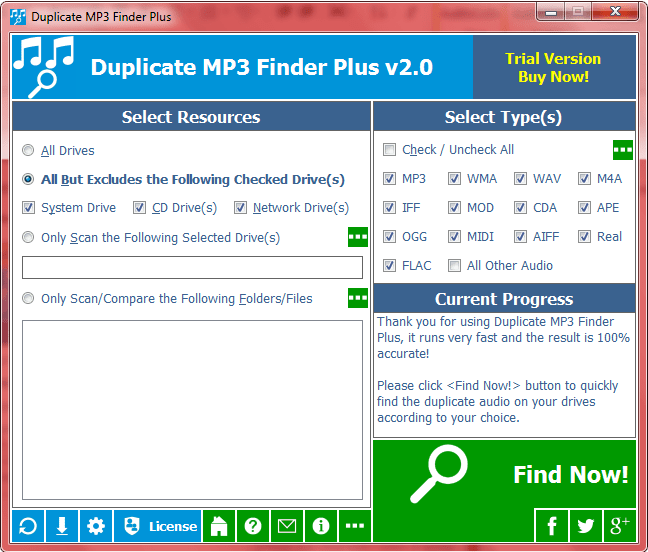 Open our duplicate music file finder you can get the main interface below. You can select the scope of drives to scan, also, there are plenty of types for you to choose, just at the top right of the duplicate music finder main interface, we list the usual types used in our life, you can select single one for once, alternatively, you can check the Check/Uncheck All or All Other Audio to manage mass of them. If the types you wanted are not displayed here, please click the red box above to find them, then you will get the interface below. 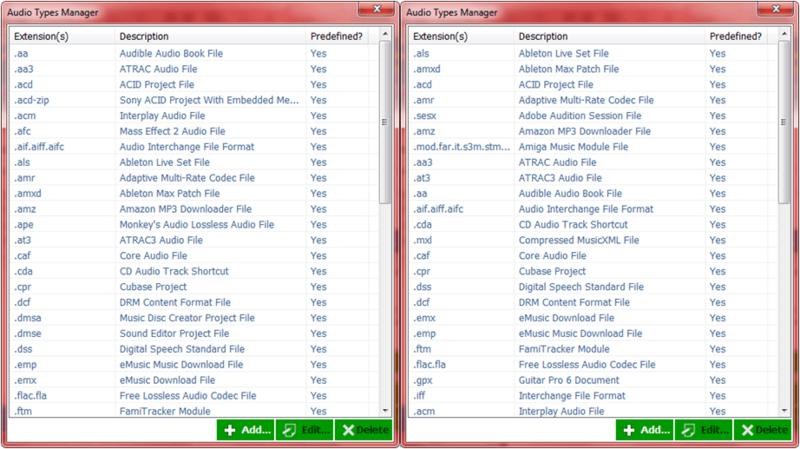 Screenshot2: various types of duplicate music finder. How about it? More convenient is, you can sequence the list in alphabetical order by click Extension(s) and Description respectively, Just like this. 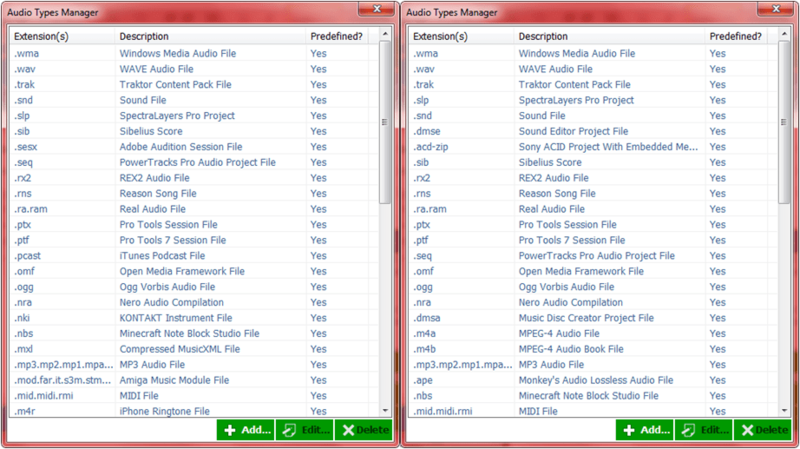 Screen3: ascending list of duplicate music file finder. Also, you can list them in converse alphabetical order by clicking them again. Like this. Screen4: descending list of duplicate music file finder. You can’t edit or delete the types are predefined in the list, but you can add what you need to the list by clicking Add at the bottom. Once you add a custom audio type into the list, the type would be saved forever unless you edit or delete them. By checking the Check/Uncheck All or All Other Audio to cover them all instead of checking one by one. I’m sorry to say that the trial version is limited by removing duplicate songs only one at a time, but you can order the full version on the homepage of Duplicate MP3 Finder Plus.